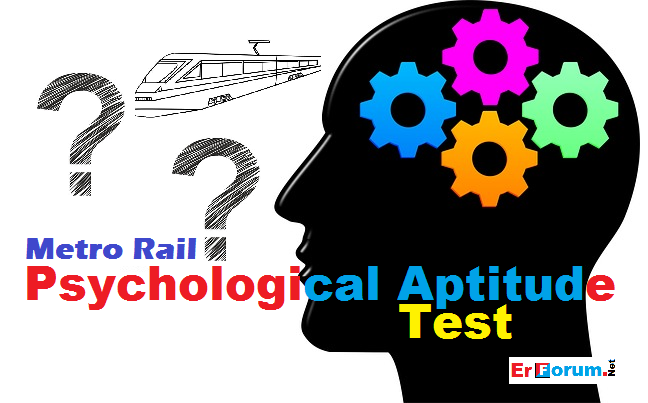 Like Psychological aptitude for the different post in Indian Railway as Assistant Loco Pilot (ALP), Assistant Station Master (ASM) and Motor Man, Psychological Test for the recruitment in metro rail is also conducted by the Psycho-Technical unit of RDSO. There are two posts in Metro Rail for which Psycho Test is compulsory to pass after clearing written test. These two posts of Metro are Station controller (SC) and Train operator (TO). Here we are going to share complete details of Psycho Test exclusively for metro rail. Details of Psycho tests for ALP and ASM post is already shared here at this link. Only a few tests of Metro Rail Psycho is similar to Indian Railway psycho posts. Psychological tests have been designed for various categories of job in critical safety categories. Each test battery has separate Time Limits, which will be advised to you during test sessions. You have to solve test items and mark your answers within the prescribed time. Generally, the tests are administered in groups of 50-100 candidates. 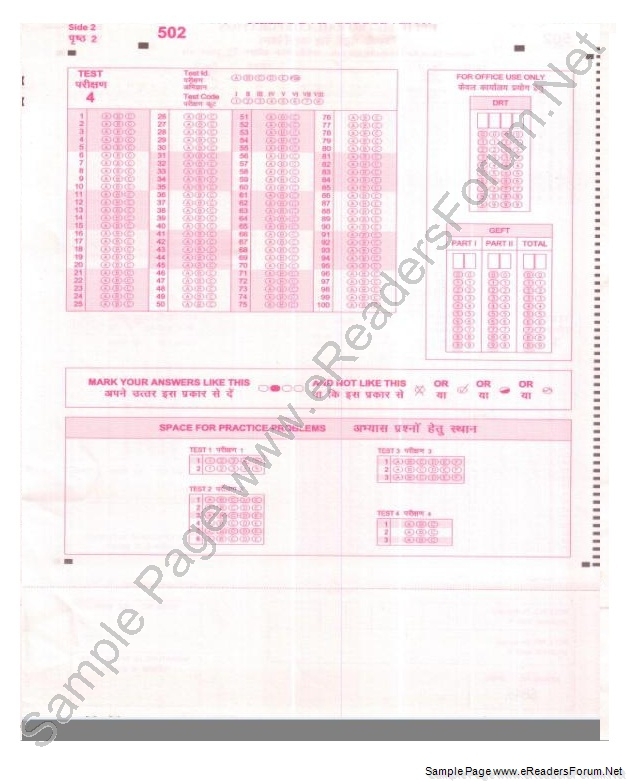 Below is a Sample of Answer sheet of Metro Rail Corporation which you will get in examination hall of Psycho Tests. The answers are marked on the answer sheet by fully darkening the circles which go with your answers. Use a blue ball point pen. Remember you are not permitted to change your answer. Lists of Pen variant which are useful for fast marking in the Psycho test is available here. · Only one circle is to be darkened for each answer. 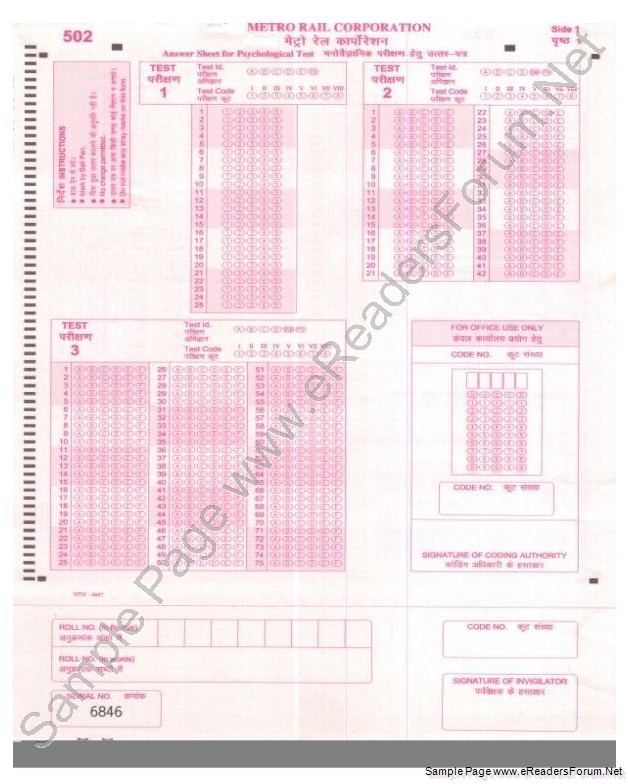 · Do not make any stray marks on your Answer Sheet or Test booklets. 2 sets of 9 Question each =18Q. 10 min. For each set= 20 Min. As much as you can within a time limit. This is a test of intelligence. There are 25 problems in this test. In each problem, you are to decide which figure shows the parts given in the left-hand box correctly fitted together. This is a test of memorising Picture-Number combinations. The test is in two parts. In each part, there is a Memory page and a Test page. You are required to remember 21 picture-number pairs given on the Memory page. After some time you will be asked to go to the Test page, which shows the pictures in a different order. You will be asked to indicate the numbers that go with them. 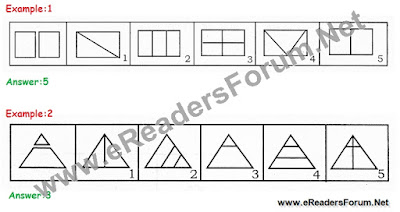 You may pick your answer out of the four options given for each picture and mark the correct answer on your OMR sheet by darkening the corresponding circle. For Fast scoring, Memory Tricks must do a good amount of Practice questions. This is a test of Power of Observation. There are 30 problems in this test. In each problem, 6 figures of 4x4 Matrix named A, B, C, D, E, and F are given. Out of these, five figures are identical and one figure is different than the others in some respect. You are required to identify the dissimilar figure. In this test, some questions are asked to see what attitudes and interests you have. There are no ‘right’ or ‘wrong’ answers because everyone has the right to put his own views. 1. I like to watch team games. If there is no 'Right' or 'Wrong' then which option you should choose to qualify/clear this test? 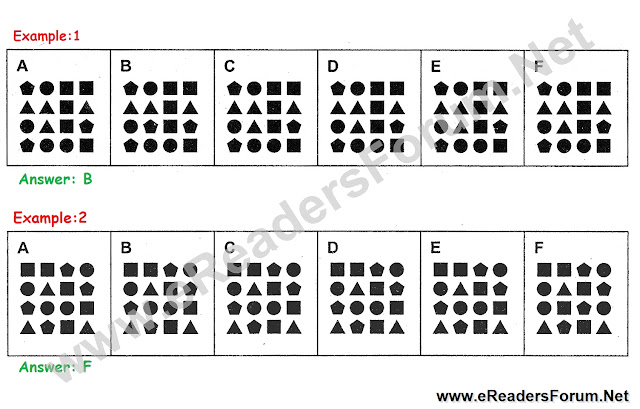 In this test, you are asked to find a simple pattern from a complex pattern and mark them properly with a pencil. For the more detailed explanation and Tricks Read: Metro Rail Psycho Preparation Kit. Number of Question: Depends upon your speed, how fast you are answering. Put a finger of your dominant hand on the rest (L) button to begin. A Red, Green or Yellow light will appear on the screen at random. Press the button corresponding to the colour of light as early as possible. After pressing the button your finger should go back to the rest (L) button. This Kit includes all Psychological Tests of Metro Rail Exam along with "How to solve guide". After reading this explanatory kit, you didn't need any help from others to understand these Psycho Tests. Each Psycho Test of this kit has some mock practice sets too. Note: Before performing each test they (invigilators) will give you instruction and tell to do some practice questions. So, don't worry. Must ask invigilators if you have any query in the exam hall. If you have any confusion/query regarding any Psycho Test please write us at erforum.net@gmail.com we will solve your query and problem. Your Like and share motivate us to post more useful psycho test tricks. So, Please like and share it.